A community hub in Loughborough will be cooking up a host of treats in their new kitchen thanks to a kind gesture. Charnwood Borough Council’s home improvements contractor Fortem offered to fit a new kitchen at the Marios Tinenti Centre. The work has been completed as a community focussed project which Fortem committed to as part of the contract. The hub is based in the Bell Foundry estate and was opened by a local resident around 10 years ago. Between 80-100 people make use of the facility each month. 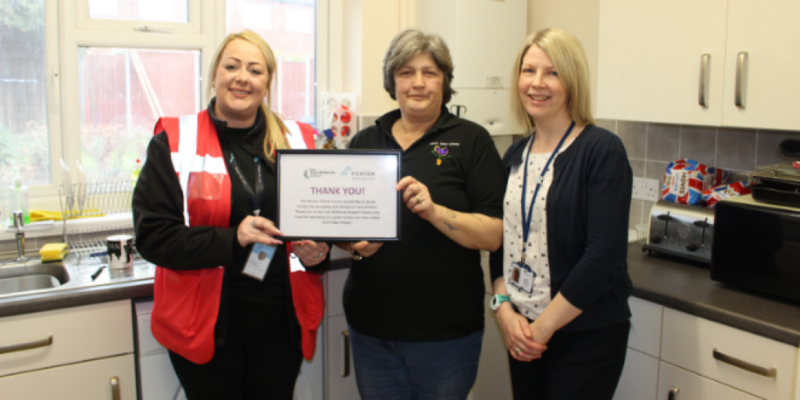 Lorna Hughes, hub co-ordinator, said: “We’re absolutely thrilled with the new kitchen and we’re so grateful to everyone involved in making this happen. The Council also supported the centre with a successful application to the East Midlands Airport Community Fund for new kitchen appliances. The centre will shortly be celebrating its 10th anniversary.